How to Choose the Right Content Outsourcing Company? According to the Penguins, it is quality content, not quantity that decides the success of your business online. If you do not furnish your websites with engaging content, the site will not reflect in searches. Whether you are outsourcing article writing, blog writing or web content writing, be sure to associate with a content writing company who is committed to delivering you the best services. Ask for samples or take some time to go through the agency’s website before you seal the deal. 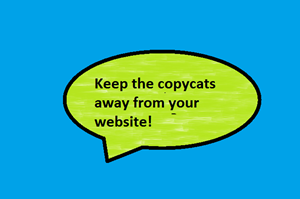 Copyscape is an online software that catches hold of plagiarized content. Before entrusting your project with any content writing company, it is better to ensure that they deliver you original content that are Copyscape passed. Google and other search engines are no more tolerant towards plagiarized content. Quality writers and quality content come at a price. You can never dream of getting an ‘Audi’ Car with the budget of a ‘Nano’. If you are on the lookout for content that works, it is better not to go with the ones who offer content writing services at lower rates. Before zeroing down on company, take some time to check the samples of a few other agencies and go for the one that offers the best quality content, even if they are on the pricey side. Unless and until you work with an agency, you can never really judge their reliability. Yet, by checking the testimonials on the website, you will get a picture of the vendor. Please make sure that the vendor has testimonials from real people and companies. There are many content writing companies who write testimonials in fake names. You can check the credibility of the testimonials by running a Google search. If the company who provide the testimonial exists and their content is good, you have found the content outsourcing partner you have been searching for. Post project support is very important. Even after the completion of the project, you might need support from your content outsourcing partner. Be sure to choose one that offers post project support. References are another great way to find a quality content writing company to outsource your project. Ask around people from your professional/business network for references. A reference means that the content writing company in question has delivered solutions that met the requirements of the person who suggested the team to you. Once you have finalized a content writing partner who offer quality services, communicate your requirements clearly to them. Be sure to tell them your style sheet and deadline specifications. This will help you get the best out of the team. If you are looking for a content outsourcing partner, contact us to get our samples and other details.